I am often asked how to go on caring for a loved one when there is no further hope for cure. There seems to be the interpretation that to give up further treatment means to abandon all hope. When all treatment options have been exhausted and a cure does not appear possible, loved ones report feeling guilty and angry that they are giving up hope. I believe that when a cure is not possible, we can continue to care and hope. But we reframe hope, and focus on those things that are realistic and meaningful to hope for. You do not have to abandon hope. We hope for the future, whether that future is the next minute, day, or year. We are taught, trained, and reinforced to look forward and beyond this moment, and yet, as I trust you have discovered, it is this moment that turns out to be the most precious. We hope for each moment to be meaningful. In the absence of cure, we can hope for compassion, care, comfort and intimacy. We can provide those ways of being with our loved one. We can advocate that the healthcare team responds in those ways and make sure that our loved one experiences those elements of hope at the end of life. None of us need to “resign” our energy, hope, and courage because our life is limited. We all live under the reality that life will end; we are all vulnerable; we all live with limitations. And yet we do not crumble under the reality; instead, we use this universal and inevitable reality to motivate us to wake up, be fully present, and love despite our vulnerability. Embracing hospice, and what it can offer, does not mean we let go of hope. Hospice is a way of living that focuses on changing the experience of living with a terminal illness. Hospice care emphasizes meaningful days, weeks, and months, in order to ensure comfort, dignity and choices according to one’s values. 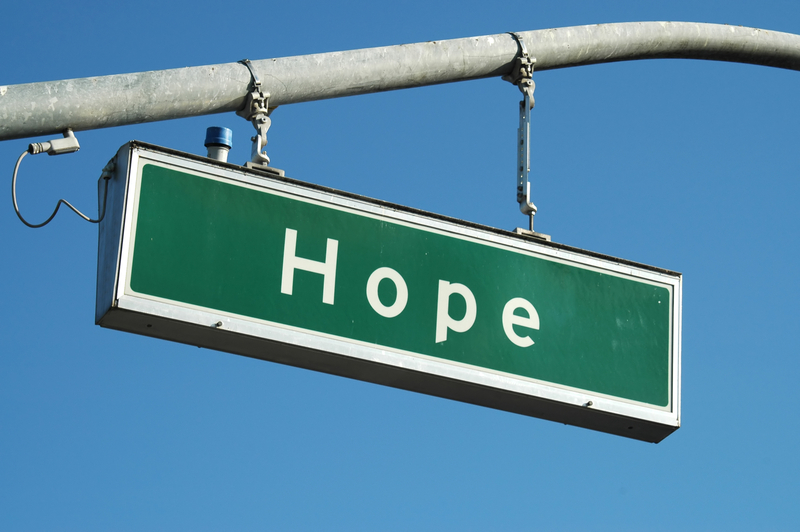 Letting go of the hope for a cure does not mean that we have nothing to hope for. We hope for love, comfort, intimacy, and to make a difference. The end of curative treatment does not mean the end of care. When a person chooses hospice care they are choosing palliative care, for both themselves and their loved ones. Palliative, or comfort, care means that an interdisciplinary team concentrates on affirming life and the person’s values so that they can participate fully on those things that bring the most meaning. 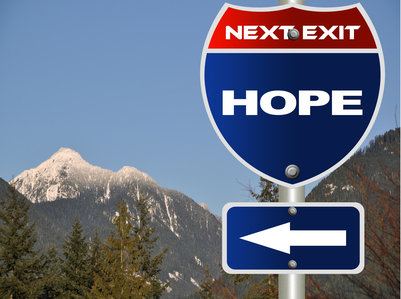 Bringing in a team of professionals includes physicians, nurses, social workers, and pastoral counselors to provide a continuous cycle of care…this is the opposite of giving up hope! As loved ones, caregivers, and patients we do not have to stop fighting. But instead of fighting against something (illness), perhaps fighting for something might make a significant difference in how our loved one and we experience this most important time together. Fighting for love might mean that we redefine hope at the end of life. The doctors may not be able to offer further treatment but we still have choices; having choices means you have power and hope. Despair comes from the resignation that you do not have any choice at all. Count your choices: for attitude, presence, peace, thoughts, actions, and love. Our resolve to hope for instead of fighting against may be just the change in perspective that provides the comfort, peace, and presence that will matter. As painful and challenging as this time is for both patient and loved ones, sharing an abiding presence of love can transform this time into the richest and most intimate time in a relationship. This entry was posted in Dr. Lani Leary's Blog and tagged caregiving, comfort, compassion, cure, hope, hospice, palliative, vulnerability on July 10, 2013 by drlanileary. As a psychotherapist I think of myself as a professional listener. Listening is a ministry. It appears to be passive so most people do not perceive the act of listening as “doing” for another person. But when I listen, much more is involved than just my ears. To truly listen is to engage my ears, my eyes, my heart, and my intuition. It is to open so fully to another person as to take their story into me and share it on every level. We read to know that we are not alone, to believe there is someone else out there sharing a similar feeling or experience. We see a therapist or counselor so that they might hear us, acknowledge our story, sit with us in our pain, and reflect to us that our feelings are real and that we are not crazy. One does not need to understand another person; what we are hungry for is to be seen, heard and accepted. We long to feel held, and listening is perhaps the best vehicle for that holding. When I listen deeply to another, it is as though all my senses and my attention surround and hold them and their story. Listening is the art of hearing and experiencing what the world is like to the person talking. It is a surrender of my assumptions, prejudices, and experiences in order to know how it is to be that other person. Listening with the heart does not ask that you do it “right”, but only that you do it with attention and intention. If listening is genuine, healing takes place. The listener holds the energy of ideas, confusion, joy, pain, or questions until the speaker feels safe and heard. The listener acknowledges the world of the speaker. The healing that happens is the speaker’s own personal recognition and acknowledgment of themselves. Its as though a soothing mantra echoes in the rooms of their heart, “I am seen, I am known”. The listener does not actually heal, but the act of genuine listening opens the speaker to their own healing potential. To be heard, and seen, and known is to heal the spiritual disconnections, physical discomforts, and intellectual confusions. So listening is a ministry, an act of holding another and acknowledging their story as real and sacred. Listening is also a discipline. I use the disciple stance that asks of me nothing more than remembering who I am, where I come from, and what I represent. I am a reflection of Spirit; I am connected to all sentient beings; I am here to love. Remembering that, it is a simple task to reflect love and let the image of a great listener wash over me. I know that I am listening and modeling the discipline when I experience what I call the halo effect. It is a visual phenomenon that has happened often to me, and I am now confident and not frightened by the intense level of intimacy that I feel when I am connected with another person and surrounded by this uniting halo. It is a sense that the energy borders and separation that had previously encircled my physical body have expanded to include the energy of the person to whom I am listening. In that moment of deep listening, I see a beautiful golden aura that envelopes both of us. It is a sparkling ring of light around the two of us that makes me feel that we are no longer separate beings, but connected on every level. The space outside the halo looks like a blur, further accentuating my attention on the other person. Perhaps it is the loss of attention on my body and its little discomforts or annoyances that so often get in the way of being fully present with another person. I have stopped wondering “how do I look?” or “do I have lettuce in my teeth?” I have stopped giving room to those distractions that take my focus from another person. The chatter in my mind ceases and my senses are sharper, keener, as though my body were at once one big ear, one big eye, one highly tuned radar of intuition. This phenomenon is a type of state-bound consciousness because upon leaving this “place” and this way of being it is common that I am not able to recall the details of what was said, only that it was shared and received at a very deep level. The other person was seen, heard, and acknowledged from a soul level. It is similar to waking from a profound dream state, unable to remember the details of the dream, but knowing that something important happened while you were asleep. If you can disengage from the struggle of remembering, you can trust that a level of healing occurred, and you both have been touched at a deep and profound level. Listening is a mystical practice. Listening is a prayer. As a listener I must be still, serene, and accepting. When I am still and receptive in the act of listening it is to allow the speaker to see themself clearly reflected in a still lake. The still water accurately mirrors the image presented. If there are ripples from the listener’s reaction or defensiveness, the image would be distorted and contorted. If there is anything less than full attention, the listener’s reaction has created its own agitation superimposed over the original soul material, and that is a disservice to the speaker. Real listening is being that still lake, reflecting the original. It requires a faith in the other person, believing that there is a divinity and a wealth of resources within that person. They do not need to be fixed or corrected or educated. The gift that is called for is listening. In the deep calm of the act of listening, people tell me they feel healed. I had the honor to be with a woman dying of leukemia, whose bone marrow transplant was unsuccessful. More painful than the weeks in the isolation unit, losing her hair, and the transplant itself was her desperate struggle to be loved by her broken family. Throughout her short life she had been abandoned by an alcoholic mother, abused by an angry father, and humiliated by grandparents. In her last months, knowing that the transplant was unsuccessful and the leukemia kept feeding on her body, she fought her hardest battle to make peace with her parents and ask for what she needed. Carla’s father responded by traveling to the Cancer Center to be with her for her transplant. But, she said, he was only with her physically, and she felt the old sting of separation and alienation from the man from whom she most wanted to feel love. And gradually, her determination and fight soured into anger and resentment. She looked like a red roaring flame of rage, and the tone of voice hissed like a coiled snake. The nursing staff confronted her, avoided her, and told me they felt drained. Carla told me she wanted to shrivel up and die. She felt like an old prune without any juice left. Between her words, I heard her grief, frustration, and her longing. She had worked so fiercely to build up hope and share love, but she now believed that she had used it all up. All that was left was the anger, and that was devouring any energy that was left. I held out my cupped hands and asked her if she would allow me to keep her hope and her love for her in a safe place. “I will keep it in a chamber of my heart, under lock and key”, I told her. I would guard and nurture those energies, and she could have the hope and love back whenever she felt strong enough again to carry it herself. It was hers and I was merely holding her potential for healing, because I had faith in Carla and her own resources. She needed a guardian for her struggle; she needed an outside mirror to remind her that she once experienced love and healing, and could again. She needed permission for her feeling of disappointment; once validated, her disappointment was only part of picture rather than demanding center stage. And Carla needed a way and a place to allow the energy of anger and resentment to spend itself dry without adding to her own or others’ dis-ease. Carla needed time to remember who she was and what she represented. It was a simple act of holding that I performed. Sometimes it is just a part of ourself that needs to be held, cradled, comforted, protected. In Carla’s case, it was her healthy, hopeful, loving Self that needed a safe space. I created a visual image by cupping my hands, showing Carla where she could lay her hope and love, like a wounded child into a caretaker’s arms. Weeks later Carla told me she felt she had made peace and that she felt strong enough to take back her hope and love. She told me that I had shown her a way accept all the parts of herself, because I was willing to listen, accept her and all her feelings, and give her the time to be with her rage. She did not feel that she could have attended to that work if she had been shamed, judged, or denied. Carla died soon afterwards. When I think Carla now, I remember a snapshot of time as I held my cupped hands towards her and she put both her hands in mine. That moment was an act of faith in her own powers of resolution and healing, and in my ability to nurture and safeguard a precious part of her. And in the next instant I remember the moment when she asked for her hope and love back, and the courage that it must have taken to believe in the possibility of peace. That peace was also her healing. This entry was posted in Dr. Lani Leary's Blog and tagged Healing, Listening, psychotherapist on March 30, 2013 by drlanileary.